For my sculptures I mainly use wood from fruit trees, where the original and natural form of the trunk is often used as a starting point. In the series "muzikanten" (musicians) I try to show the expression, the sensitivity and the enthusiasm of the musician. In the section "abstracten" (abstracts) my aim is to depict a suggestion of movement and freedom, in which the space around the sculpture plays an important role. 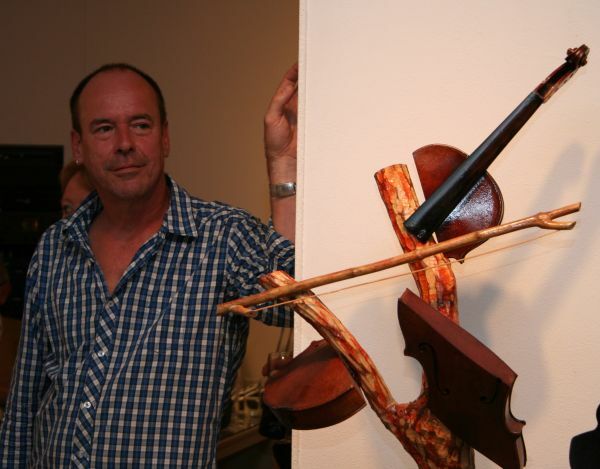 The wall objects are both musicians and abstracts, and are made from wood of fruit trees, old wood or discarded wooden materials such as cupboards, implements, etc. Most of the wall objects are also available as normal sculpture. And some of the sculptures are available as wall objects. Every sculpture is available with a little or a big console. The very sharp photo's with the clear white background are made by Marco Stroet.